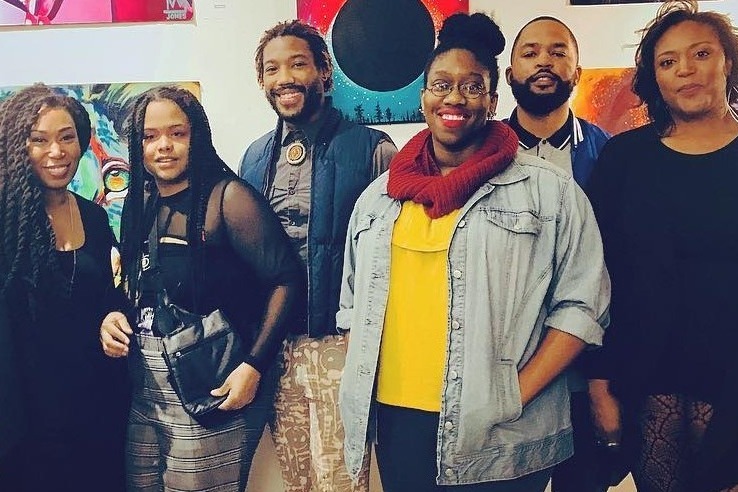 Black Moon was founded in March of 2018 as an art collective for local Black Artists in Tulsa, Oklahoma. We have shown our artwork in several locations in the Tulsa and Oklahoma City area, interviewed with several news publications both locally and nationally, and participated in several festivals and events that benefit our area. Our goal is to break standards, push innovation, and cultivate creativity. We are ready to take the next step forward in our journey by obtaining a space to create in, to enrich our artistic skill sets, and to become an avenue for learning and creativity within our community and beyond. We want to be a solid and sustaining artistic force in Tulsa. We want to develop and highlight artistic talent through growth and knowledge of our artistic disciplines and share our talents with others. Going into our second year, we realize what steps we need to take to stay on this trajectory of success and accomplishment. With our rapid growth, we are putting things in place so that we can accomplish this. We do not want to survive strictly off of campaigns like this gofundme account. We just want to give ourselves a better starting point to create opportunities that will allow us the time and space to establish ourselves as a non-profit and to apply for grants and residencies to sustain us in the long run. We need space. We were recently offered to take over the lease in a space, but we did not move forward as we would only have enough money for one month. If we had funding for a space, that would cover rent and utilities for a year, we could facilitate workshops and events, display and sell art, have meetups, collaborations and space to meet and create projects. This initial funding would also help us with entrance fees for festivals, marketing resources, and art supplies and materials. Black Moon would like to thank each and every one of you who has supported us in words, wisdom, kindness, generosity, time, and encouragement. We would not be were we are today had it not been for the people around us that continue to push and mold us into our best selves. We cannot express enough how much it means to us to be able to reside in a place that desires for us to succeed. With your gift, we will continue to give back to others. Thank you!